In the heart of the Crown of the Continent along the Rocky Mountain Front lies a special place – special for the wildlife that live there, as well as for nearby Native Americans, sportsmen, and all wildlife enthusiasts. Three days before Thanksgiving, the U.S. Department of Interior finally decided do the right thing and revoke several improperly-issued oil and gas leases in this special place, thereby protecting more than 6,000 acres, right in the heart of some of the best remaining wildlife habitat in the heart of the Rockies. The area is known as the Badger-Two Medicine, named for the streams whose headwaters are located within. 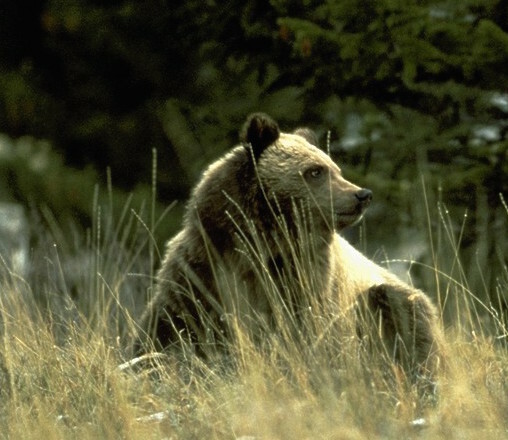 Nestled between Glacier National Park, the Blackfeet Nation tribal land and the Bob Marshall Wilderness, the 165,000 acre Badger-Two is home to grizzly bears, elk, wolverine, mountain goats, westslope cutthroat trout. It has also been the spiritual epicenter for the Blackfeet Nation for centuries. However, in mid-1980’s, Solenex, LLC, a Louisiana oil company obtained leases on 6,200 acres in the core of the Badger-Two. Although its drilling permit and leases have been suspended for two decades, Solenex attempted to revive them in 2013, prompting an outcry by conservationists and tribal members who have been fighting the leases for decades. Even Senator Jon Tester joined in, calling upon Interior to cancel the leases. This September, the federal Advisory Council on Historic Preservation concluded that no amount of mitigation would repair the damage that oil and gas drilling would cause to the area, and a month later, a federal judge ordered Interior to make a determination on the leases by the end of November. While the fight to protect the Badger-Two isn’t over (Solenex may well challenge the Secretary’s decision, and there are more than a dozen additional outstanding leases), the decision by Interior could pave the way for permanent protection of the entire Badger-Two. That would be good. The Rocky Mountain Front – where the mountains meet the plains – is a “Serengeti” of large mammals in the lower forty-eight. The permanent protection of such a core piece of this ecosystem would provide innumerable benefits to fish and wildlife struggling to survive in a warming world. The Endangered Species Coalition applauds the decision by Secretary Jewell to retire Solenex’ leases, and thanks all the conservation groups, tribal members and advocates who have spoken up to protect the Badger-Two.